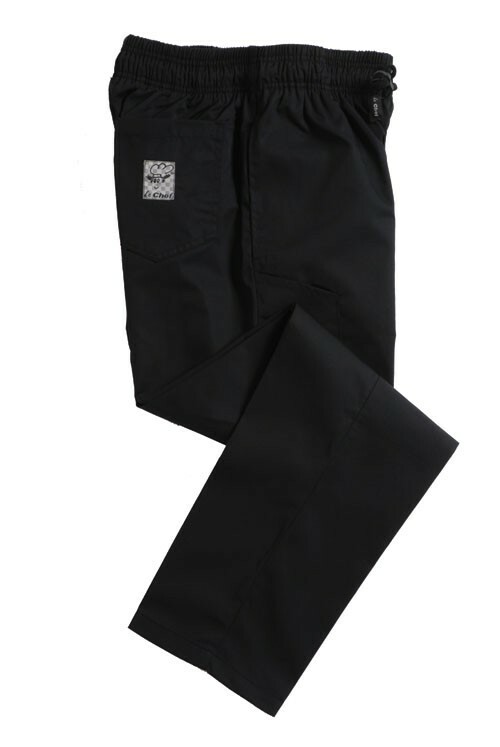 A pair of deluxe black chef's trousers from Le Chef. Polycotton unisex chef's trousers. Two side pockets, one hip pocket and 1 phone pocket. Zip fly. Self locking drawstring. Inside leg approx. 32". Sizes below S have a proportionately smaller leg length.